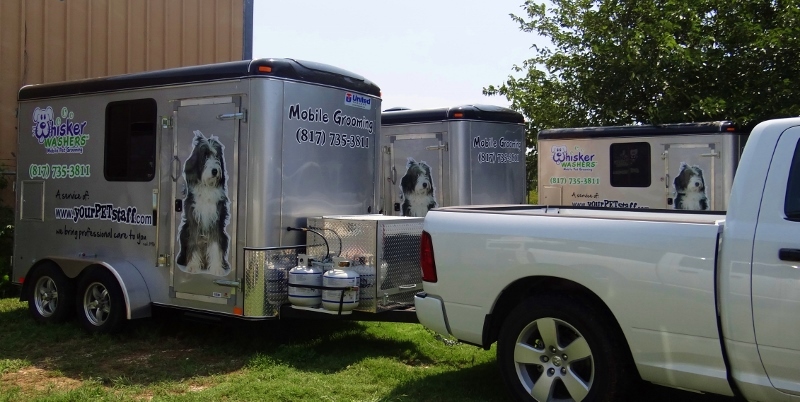 We bring our state-of-the-art mobile grooming salon right to your door - Convenient curbside service to your home or office saves you time, gas, stress etc. No car ride - Mobile grooming eliminates the stress and mess of car sickness and all the anxiety your dog may suffer during the car ride. 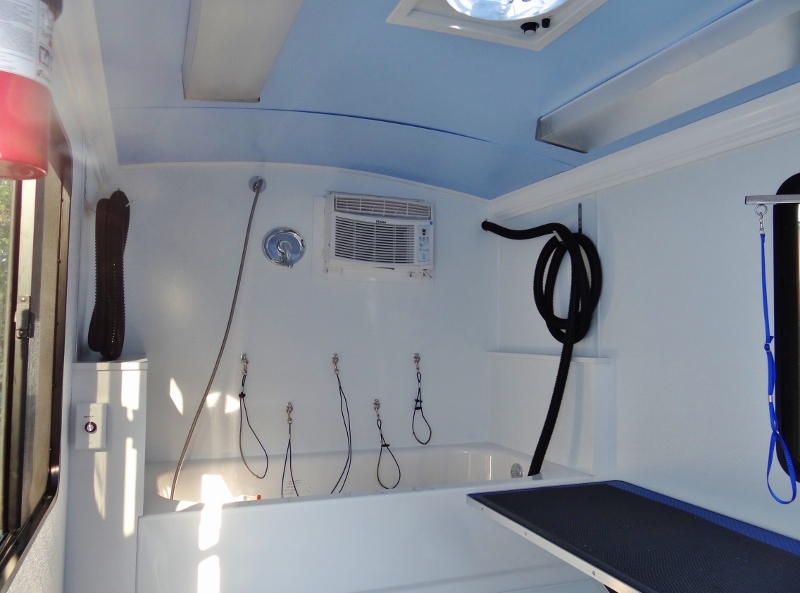 Pet stays home - Your pet doesn’t have to leave your property, but you get to leave the fur and mess in our mobile salon, not all over your car, yard, etc. 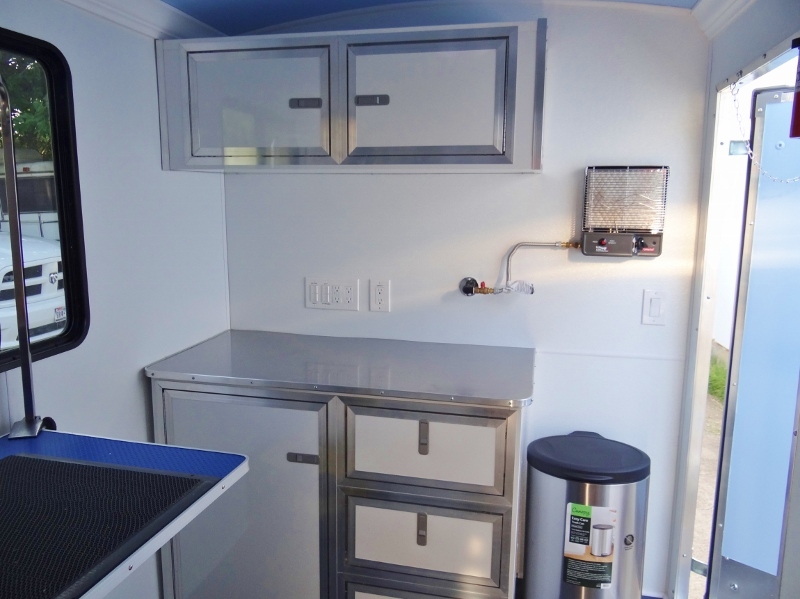 Pet gets one-on-one attention - We pamper your pet from start to finish without interruptions inside our custom built mobile salon until the chosen services are complete. No cages or cage drying - Instead of sitting cold, wet, and alone in a cage under fans your dog will get fluff drying by hand. Eliminates anxiety brought on by other noisy animals - Instead of other barking dogs and anxious cats your pet will be in a calming environment. No contact with other animals – Your pets are not exposed to other animal’s potential diseases or parasites. Familiar environment for your pet - Instead of a day away from their familiar environment, your pet gets to stay on their own property which greatly reduces separation anxiety. Windows on the sides of the grooming salon - During their groom, your pet can see familiar surroundings. 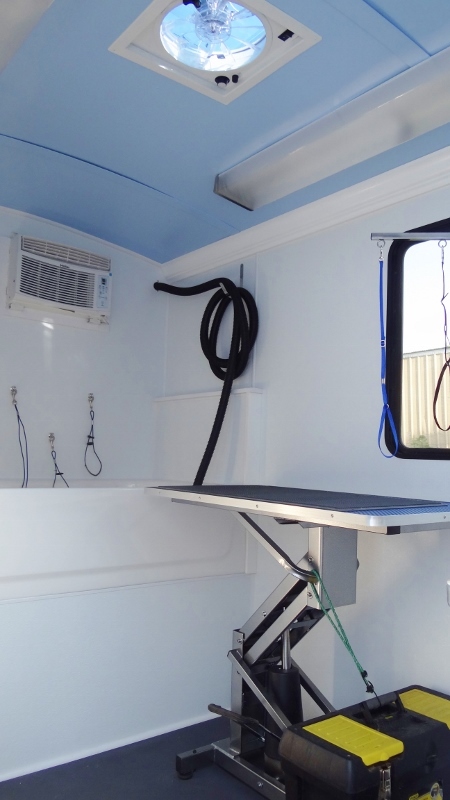 Climate controlled salons -Our climate controlled mobile salons run on their own power source.